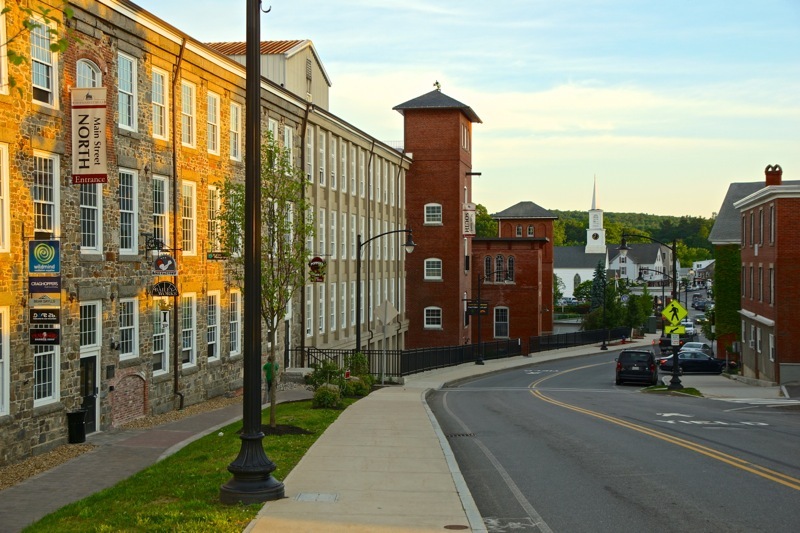 A small but vital community located in the Seacoast region, Newmarket retains its character as a scenic mill town along the banks of the Lamprey River and Great Bay. 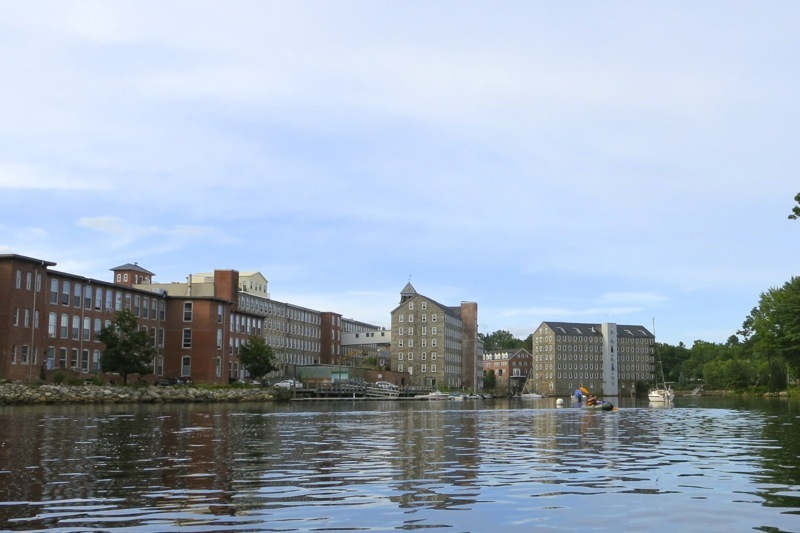 The Lamprey River, winding through the tranquil town, is appreciated as a significant recreational asset to the region for fishing, boating and access to the larger Great Bay tidal basin area. Boaters enjoy voyaging through pristine navigable waterways leading to the Atlantic Ocean. Only fifty miles from Boston, a short drive from the University of New Hampshire, NH Technical College, Portsmouth business center and with easy access to major highways, Newmarket is well-situated for commuters. The 2010 population was just under 9,000. Newmarket educates about 1100 students from Preschool - grade 12. Students in Preschool - grade 5 attend the Newmarket Elementary School and students from grades 6 -12 go to the Newmarket Jr./Sr. High School. Newmarket students may also enroll in classes at the Seacoast School of Technology in Exeter and at the Dover Vocational Center. Newmarket offers a wider variety of townhomes and single-family homes and there are new neighborhoods under development along with land available for new construction. View all listings for sale in Newmarket, NH. Contact us if you have questions or would like to set up a tour. MOODY POINT, a fantastic waterside community on stunning Great Bay Estuary. Truly a NATURE LOVERS DREAM PROPERTY, watch Herons, Turkey, Deer, and other wildlife pass-by, launch your kayak from the community dock or hike the waterfront trails. This IMMACULATE, beautifully updated custom built ranch offers seasonal water views of Lubberland Creek. Exceptional OPEN CONCEPT floor plan, the perfect blend of informal and formal spaces. You will find the best of the best in the luxurious gourmet kitchen, solid Cherry wood cabinetry, granite tops, Subzero refrigerator, a Bosch dishwasher, Wolf double ovens and a 5 burner gas cooktop, breakfast bar & built in desk nook. The Kitchen overlooks a bright family room, boasting a wall of glass to capture the views, vaulted ceiling and a gas fireplace flanked by built-in bookshelves. Formal living room with second fireplace & Brazilian Cherry floors. Large formal dining room is ideal for the holidays. The spacious first floor master suite is privately set at the far end of the house, includes a walk-in closet, full bath w/jetted tub. DAYLIGHT WALKOUT lower level offers 3 additional bedrooms, a full bath, a spacious den, office space, a heated 3 season room and plenty of storage space. Lower level makes the perfect guest quarters, connected yet offers great privacy from the main level. CENTRAL A/C, alarm, central vac, a generator hookup, affordable propane gas heat. Freshly painted, MOVE-IN READY, come tour this exceptional home today! New construction! In-law suite! 2nd floor master! Artform Home Plans "Harbor Rose Premier" is a beautifully designed 2,368 SF home with attached 2-car garage. From the covered front porch, enter through the foyer to the main living room which is open to the dining room and kitchen through a half wall and two columns exquisitely maintaining a sense of separate areas and bright open feel. Within the main part of the home,om leading to the garage completes the first floor. The 495 SF in-law suite is accessed through the garage or a a door leading in from the backyard, each opening to the living room. It has a comfortable size bedroom with a walk-in closet, kitchen and full bath. On the 2nd level of the main house are a spacious master suite with 3/4 bath, 2 additional bedrooms and a full bath for their use. A beautiful and thoughtfully designed craftsman home! This home is offered in the brand new Boulder Brook neighborhood which is just north of the vibrant Newmarket downtown area. Boulder Brook is surrounded by conservation and has a walking trail leading to downtown. PRICE IMPROVEMENT FOR THE SPRING MARKET! ~ Searching for an Equine property? Come take a look at this historic Newmarket home, a center chimney Colonial circa 1780 located on picturesque Grant Road. This lovingly maintained, character filled home has an attached 4 stall horse barn w/ tack room, electric, water and hayloft, on 5.7+ acres of fenced and landscaped grounds. The home was completely renovated in the 1980's, and now this special property is ready for its new owners! The home features 4 spacious bedrooms, one located on the first floor, 2 full baths on main floor, family room with pellet stove, formal LR & DR, study, and an eat-in kitchen. You will find wide pine floors, 2 fireplaces, 2 pellet stoves as an alternate heat source, built-ins, and ample storage throughout the home. Bonus features are a workshop, and a brew house! For outdoor entertaining there is a screened porch overlooking the private backyard with in-ground pool, patio area & veranda. Bring the horses, dogs, chickens and family, there is plenty of room for everyone! Newmarket is home to several farms, with rural character for equine enthusiasts and a thriving downtown with plenty of restaurants & shops. Call today for your chance to view this unique, historic property located in a quiet country setting, yet close to major routes for commuters. Enjoy your own move-in ready private estate on over three acres of land! This detached single-family home offers a rolling and private lot with fields, woods, and water access. Watch the wildlife roam through your property from the many windows with expansive views of open fields and woodland. An up-to-date kitchen with ample sunlight and storage greets you from just off the spacious deck. The dining room just off the kitchen makes for easy entertaining with room to expand the party onto the deck overlooking the in ground pool and extensive grounds. Lower level has a family room, additional bedroom, 3/4 bath, and walkout access. Master bedroom with ensuite bath is located on the main level. Upper level has three generous-sized bedrooms and a full-size bath. This home comes pre-wired for a generator hook-up. The workshop area has parking for multiple cars with room for RV parking. The heated workshop with central air and 3 phase power is a work of wonder with multiple workstations with air and water ports, compressor, an office, two bathrooms, and a ballroom size room on the second floor. Children's playset is included as part of the purchase. This home is located just outside of trendy downtown Newmarket and is just a short ride to downtown Portsmouth, Routes 4,101, and I-95.